Pumpkins, sweets, cheesy Halloween songs and that spooky vibe that is in the air, can you blame me for loving Halloween so much? I believe that the only proper way to celebrate Halloween is to make sure your dolled up in fancy dress. Although I am a huge fan of fake blood and gore, I know that some people aren't a fan! 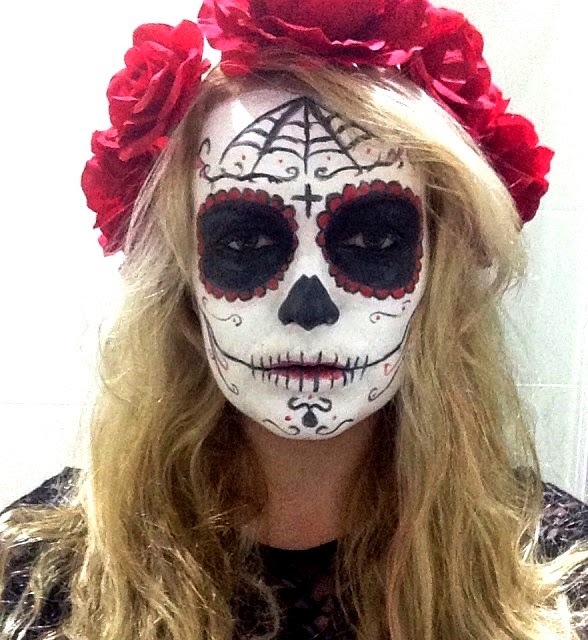 So here is five fancy dress looks that are affordable, simple and without all the fake blood and slashed faces. I did this look for my 21st Birthday for my 1920s themed birthday, but I think it would work just as well for Halloween. It's elegant, beautiful and perfect for those who want to look glamorous on Halloween instead of ghoulish. All you need for this look is dark eyes, burgundy lips and a bob! I achieved the faux bob look by tucking my hair underneath itself and pinning it. 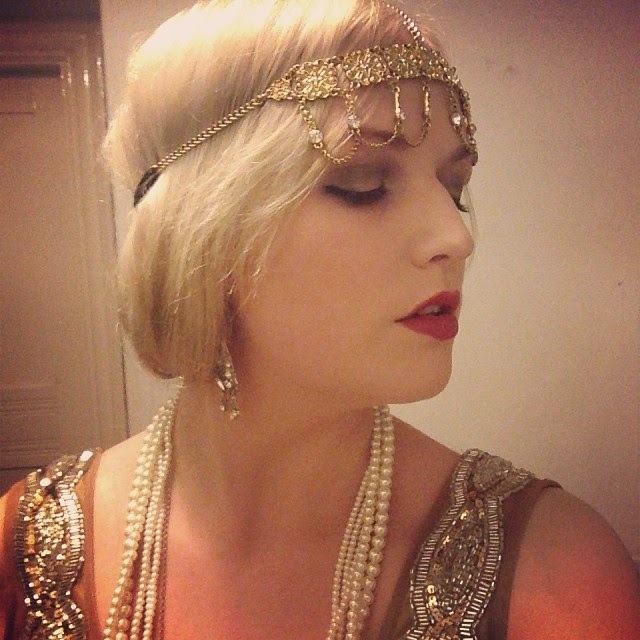 Top the look off with an elaborate head piece, a flapper dress and strings of pearls. Everyone loves a Harry Potter costume, so why not try out one of the lesser characters! For a themed Harry Potter party, I was assigned to be Fawkes the Phoenix. 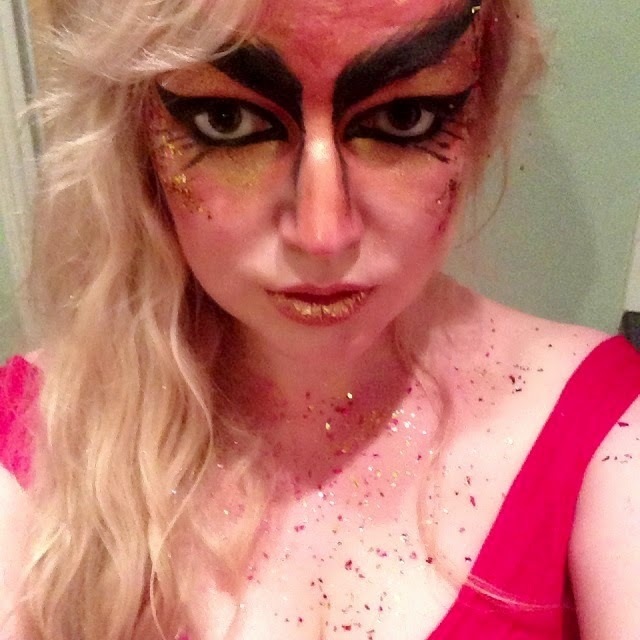 I did a lot of research about different make up representations of the phoenix and eventually created this look consisting of a LOT of glitter and really heavy eyes. This look can be achieved with red face paint, gold eyeliner or eye shadow, black gel eyeliner, Vaseline and gold and red glitter. I also used a lot of gold glitter spray in my hair. This is a very simplified version of the very popular black and white skull look. I remember doing this in about ten minutes because I was running late to a party. Even though it isn't the most detailed of skull looks, it's still a very striking look that you can scare people with! To achieve this look I simply applied foundation as normal and on top I drew the details using black gel eyeliner and black eye shadow for the detailing. This is a simple but effective look for Halloween that doesn't cost anything. 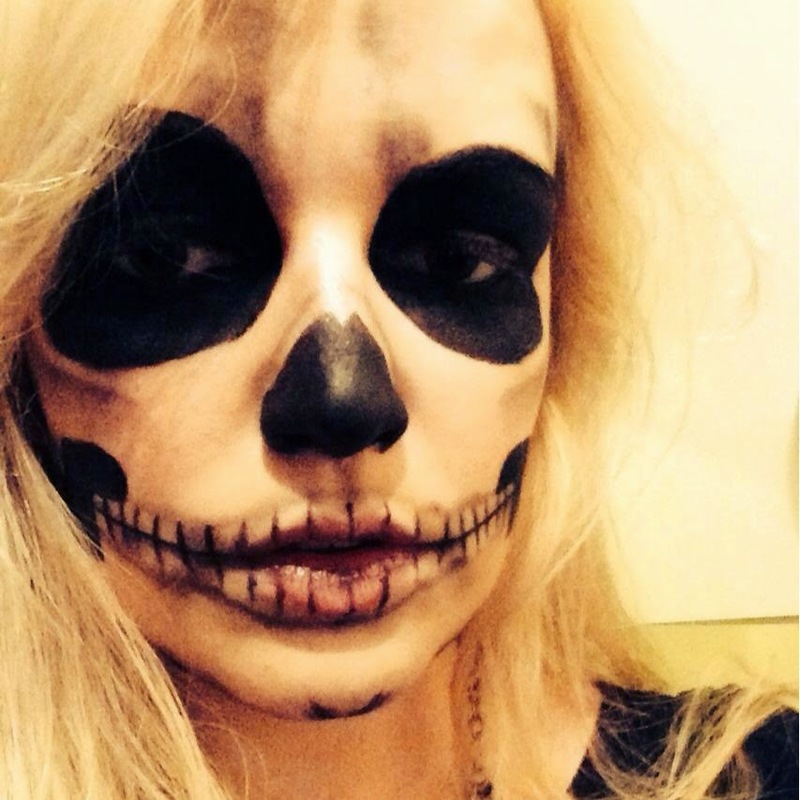 Animal looks are so popular around Halloween, so why not embrace your wild side? 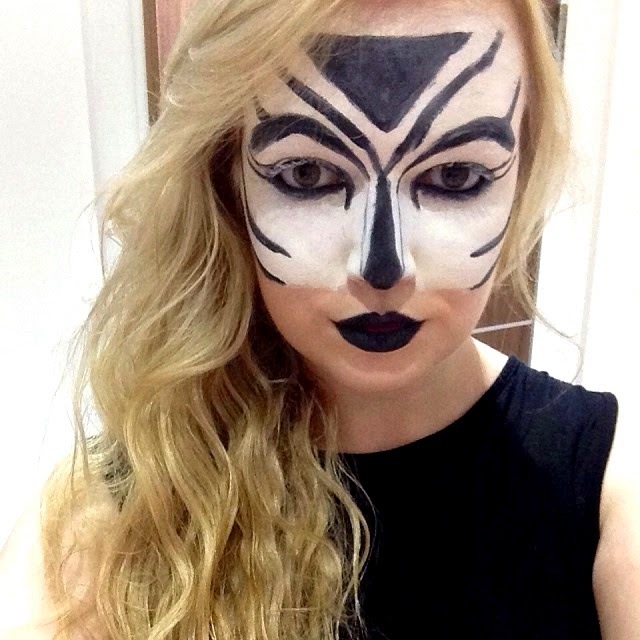 This Zebra look is so simple, cheap, quick and perfect for those who want an impressive look for Halloween. This Zebra mask is created with white face paint and black gel eyeliner which I teamed up with an all black outfit and a black and white manicure. This is probably the most elaborate look on this list but it is definitely my favourite. 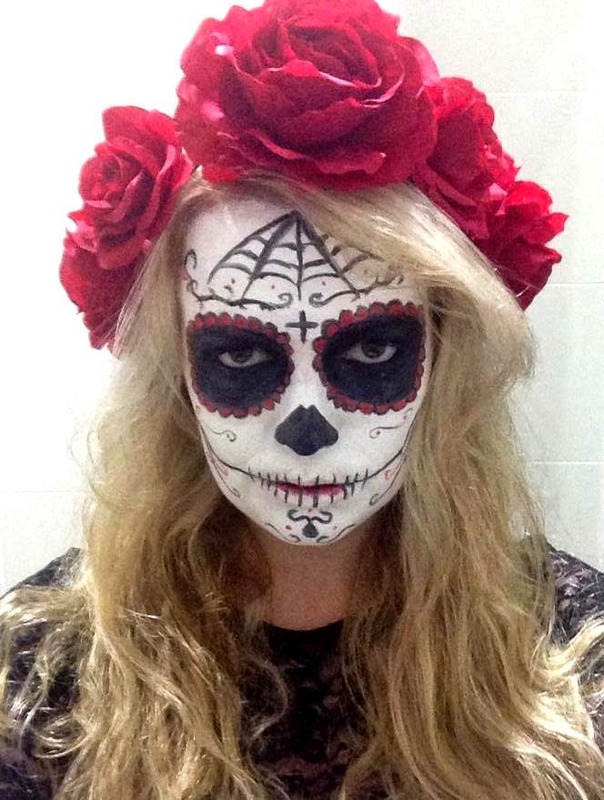 Sugar Skulls are one of the most popular looks on Halloween and what I love most about the Sugar Skull is that the design is totally up to the individual! Flowers? Stars? Little Skulls? Spiders? You name it, you can put it on your face! My design has a white face paint base and the detailing is done in black gel eyeliner and red face paint. I teamed this up with a flower crown and a black lace dress for that real feminine gothic vibe. There you have it, a few inspirational looks without the fake blood for Halloween. What will you be dressing up as for Halloween this year? Let me know in the comments!